Keeping your clients in the loop is an essential part of any successful consultancy project. However, check-up meetings, metric reports, and email exchanges can take up a lot of time. With task automations, you can say goodbye to unnecessary admin and hello to a simpler, more productive workflow. 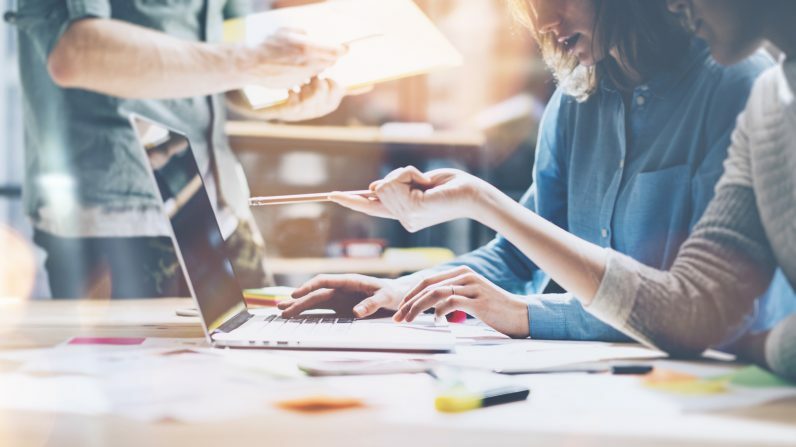 We spoke with four agencies and consultancies about how they’re running their client projects in a transparent, communicative way using task manager MeisterTask and automation tool Zapier. 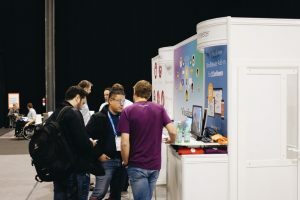 With Zapier connecting over 750 apps via their so-called “Zaps“, teams are running great projects in MeisterTask, without letting periodic updates take over their daily to-dos. Bradley Ellison, the Director and General Manager of Equitem, a consultancy based in Perth, Australia, has a choc-a-bloc schedule packed out with client visits. 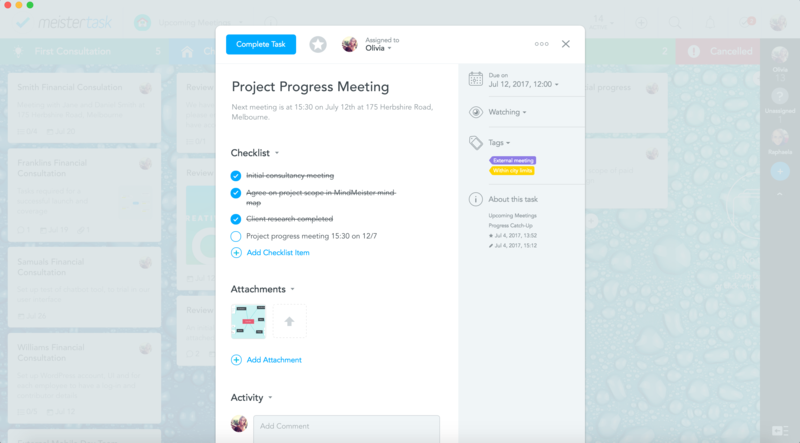 To get all dates in one place, the team use the Google Calendar integration with Zapier to turn their calendar events into tasks within MeisterTask. 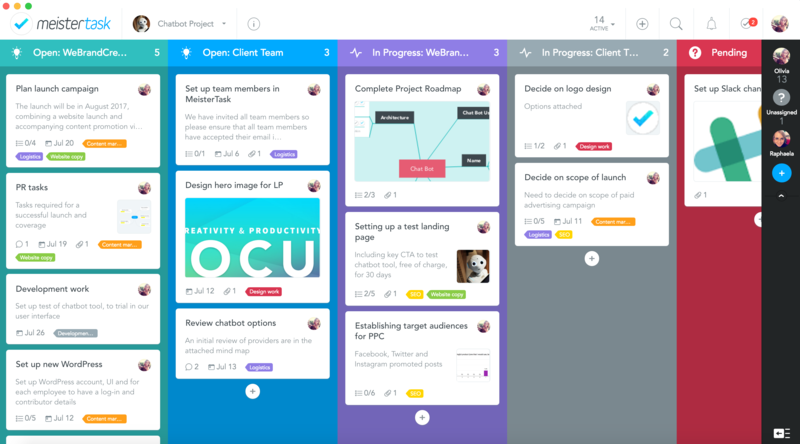 For each new client, the team creates a new Project Board for that consultancy partnership. Then, as soon as a new calendar event is added to Google Calendar, a relevant task is created within the linked MeisterTask Project via the Zap. As a result, all upcoming appointments are listed within their Upcoming Tasks and via the MeisterTask Calendar View. This allows the team to see what meetings are coming up and for who, as each appointment is a task assigned to the relevant team member. To prepare for client meetings, teams can use the MeisterTask to Google Sheets Zap, to collate all relevant data. The Google Sheets Zap automatically collates MeisterTask tasks in a Google Sheet, as they’re completed. This allows teams to quickly present a spreadsheet of completed tasks to clients, evidencing their progress. 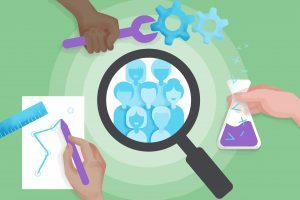 Other performance metrics, such as those collated from Google Analytics on marketing campaigns, can then be added alongside this task archive, ready to share with the client. If there are to-dos that your agency needs to periodically complete, you can set up a recurring task within MeisterTask. Recurring tasks act as periodic reminders on a daily, weekly or yearly basis. 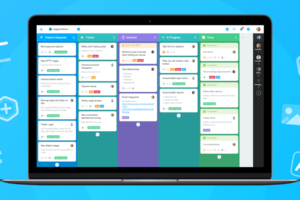 By inviting your clients to a shared Project Board in MeisterTask, you can provide your clients with a clear project roadmap. Plus, by keeping them in the loop every step of the way, you can cut down on catch-up calls and in-person meetings. Digital agency We Brand Creative create a new MeisterTask Project Board for every new client they work with. The team then invite their client to collaborate in the Project, sharing project progression with the client transparently. Each Project Board includes all pre-agreed tasks and the stage that those tasks are at in their journey to completion. So, for example, the team have a Section for ‘In Progress *Client Name*’. This Section will include all tasks that are in progress but are currently with the client for feedback. This feedback can then be given within any attached documents or via the in-built task commenting features. To provide the client with more overview, these transparent tasks can be time tracked using the Toggl integration, via Zapier. Toggl offers a simple online timer that lets you track the time you spend on each task, automatically generating timesheets. Teams can use these automated timesheets as evidence for how long tasks have taken, within client activity reports. If you’re using Harvest for time tracking and client invoicing, try using the MeisterTask with Harvest integration. You can now utilize Harvest’s time tracking, reporting, and billing functions, without having to switch between tools. With emails flooding in from clients, colleagues, and stakeholders on a daily basis, your inbox can really take a hit. “My job as the Innovation Coach is similar to the work of a consultant. Teachers are my clients, so I have a great deal of teacher questions rolling into my inbox,” Aaron explains. To help him manage these emails, Aaron set up a Zap that turns labeled Gmail messages into MeisterTask tasks. For example, by labeling an email as “Middle school teacher needs,” the email is added to that Project in MeisterTask. Don’t use Gmail? No problem. 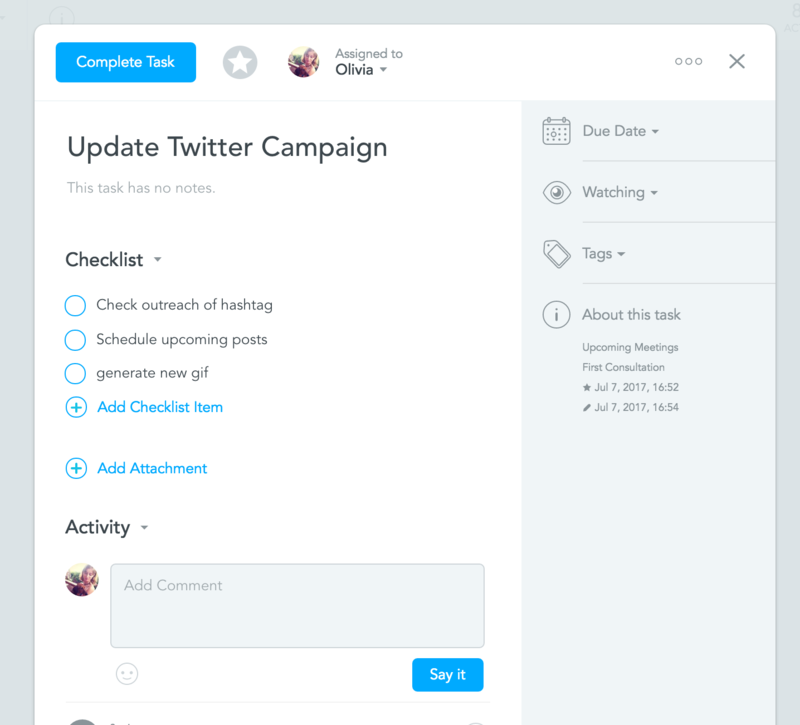 You can still use the convert emails into tasks feature within MeisterTask. Another way to reach inbox zero is by switching communication from email to a chat tool like Slack or HipChat. 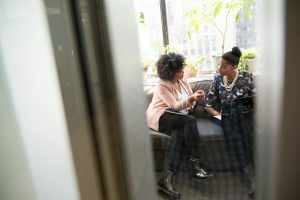 Communicating via chat channels can save a lot of time, as, without all the typical email niceties, quick queries are far more efficient. 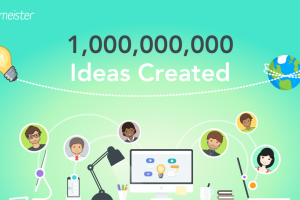 As a result, teams like We Brand Creative are making the jump to Slack for both internal and external communication. In addition, via the Slack and HipChat Zaps you can send automated updates on project progression to your chosen chat channel. With Slack, you can set up a Zap that delivers a digest of completed MeisterTask tasks to your chosen chat. You can select to send these on a daily, weekly, or monthly basis. By setting up a Slack channel for each project, agencies simply need to choose how frequently they’d like to send updates, et voila! Begin enjoying periodic project updates, without having to write a single email. And if your team is using HipChat, there’s a Zap for that too! With the HipChat Zap, your team will be sent an automatic message every time a task is completed. 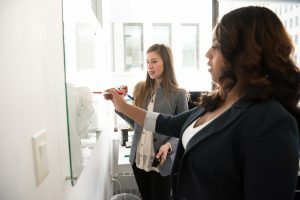 So those are six ways that your team can provide a stellar service, with less of the legwork. Have any time-saving tips of your own for agencies or consultancies? We’d love to hear them in the comments below! How can I add a checklist to the task automatically? I did not find any possibility in zapier to link a checklist? Hey Andreas, thanks for the question! I’m afraid you’re right – checklists within recurring tasks aren’t currently available through Zapier. 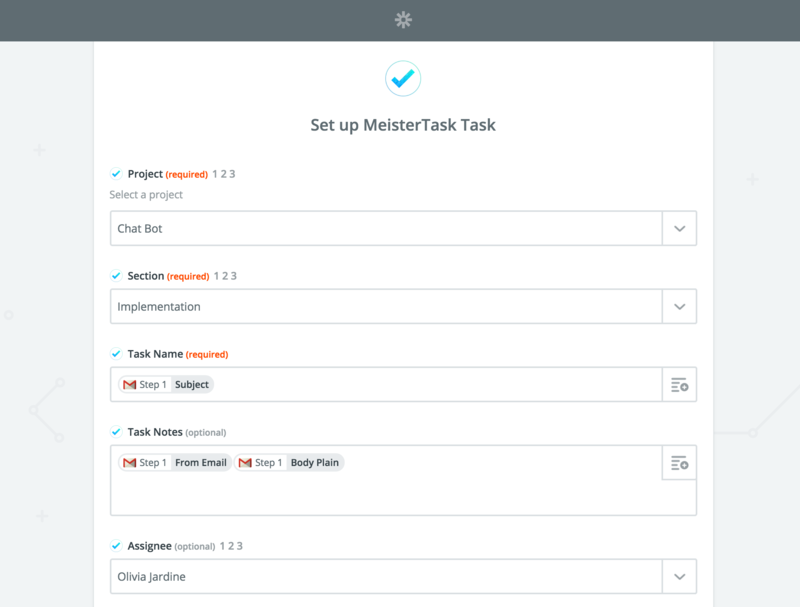 However, later this year we’ll be enabling in-app recurring tasks in which users will be able to set-up automated checklists for their recurring tasks, directly within MeisterTask. The update will be announced on our blog, via our newsletter and via our social media accounts, so please keep an eye on those for the launch 🙂 Cheers! Very good to hear that repeating task are coming. As workaround (for repeating checklist tasks) I’m using zapier / ifttt and add manually a predefined checklist. No problem at all, very happy to help! If you have any other requests, just let me know. Great post. Real-time information and real-time communication can help to increase productivity.